Home Tennis Schwartzman: "I look good, especially with the serve"
Schwartzman: "I look good, especially with the serve"
The Argentine Diego Schwartzman analyzed his suffered victory against Denis Kudla and took out the positive aspects, although he recognizes that he can not grant "energy" to his rivals. 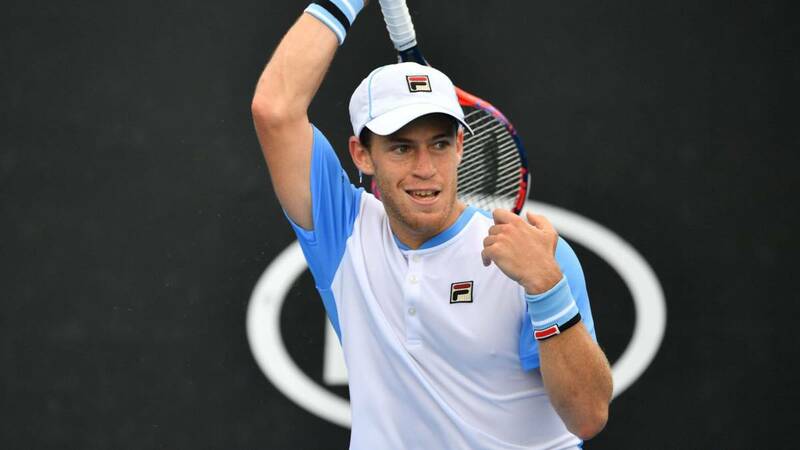 Diego Schwartzman analyzed with the Spanish and Argentine media his performance and his victory in the second round of the Australian Open against the American Denis Kudla. Analysis of the match: "The match was weird, I think I should have won it in four or three sets even, but Kudla started playing in a way that disturbed me, court 13 is very fast, it was noticeable when we came out, we made a lot of aces to be players under six meters, it was difficult to play from the bottom. You could tell when you were thinner, because the track did not forgive, it would have been unfair if it had escaped me. " Unforced errors: "He did 30 more than me, many, but he started to get it right and I could not return it, he came a lot to the net and he complicated me, in the fifth I was better in the balance of failures and winners I made 60 mistakes, many for me, which should not add more than 10 per set, but the track generated silly mistakes. " Expectations:" I look good in the third round of a Grand Slam. physical after a five-set battle because another difficult opponent awaits me (Berdych) and I have to be prepared. " Australia conducive to the suffering of the favorites: " It is the first big one, which is reached without rhythm and with a very fast surface that matches everything, the important thing is to win ". Relaxation: " In the first game something similar happened to me, but Kudla has more experience than Molleker, Petro, I gave them energy in the third set and it's a I have to correct it, because it's better to run less on the court. " Berdych: " I never played with him. I will try to be aggressive enough so that he does not dominate the points, because he is an offensive tennis player who hits the ball very hard. It comes to end in the first week of the year. He was top-10 and he won everyone. At some point his performance will go down, I hope it's against me. " Saques: " I'm getting good, I improved a lot and with the first one I'm winning a lot of points, with aces. I hope to have a high percentage, because if not he will attack me with everything ".